The Lumonite story began in Finland, where long and harsh winters create extreme conditions for lighting. In our former multibrand e-shop specialized in portable lighting solutions, we searched, tested and sold hundreds of light products, from countless different suppliers, from all over the world. We managed to notice that the best qualities of lamp aren’t always inclined to be put into the same product. If any of the lights were efficient, then they probably lacked the required simplicity. If another lamp was durable and easy to use, then its performance was probably well below par. On the basis of the feedback given to us over the years and through our own experience, a picture began to emerge, showing us which qualities are required from lights in different situations. We collected experience from hobby, as well as professional surroundings, in order to find the correct products for our product range. Having sold thousands of lamps, we gradually started to understand what is required of the perfect lamp. By combining the best qualities of different lights, we had already managed to imagine the perfect light. The only remaining problem we had was that it didn’t exist - yet. As mediocrity has never satisfied us, we realized that we needed to do something about this situation. As there were no solutions to this problem yet, we decided to build a solution ourselves. Engineers who had worked in the Valostore for many years combined their know-how and lamp expertize and began to design something completely new. That’s the way we work here at Lumonite, piece by piece we made the thing that had haunted our thoughts for years into a reality. usability. The Finnish Lumonite-products are designed so that anyone is able to use them. In 2015, the most successful orienteer of all time Thierry Gueorgiou* contacted us. He told himself to have tested almost every possible orienteering lamp and ended up considering Lumonite Navigator the best. He asked if we were interested in cooperation with him. 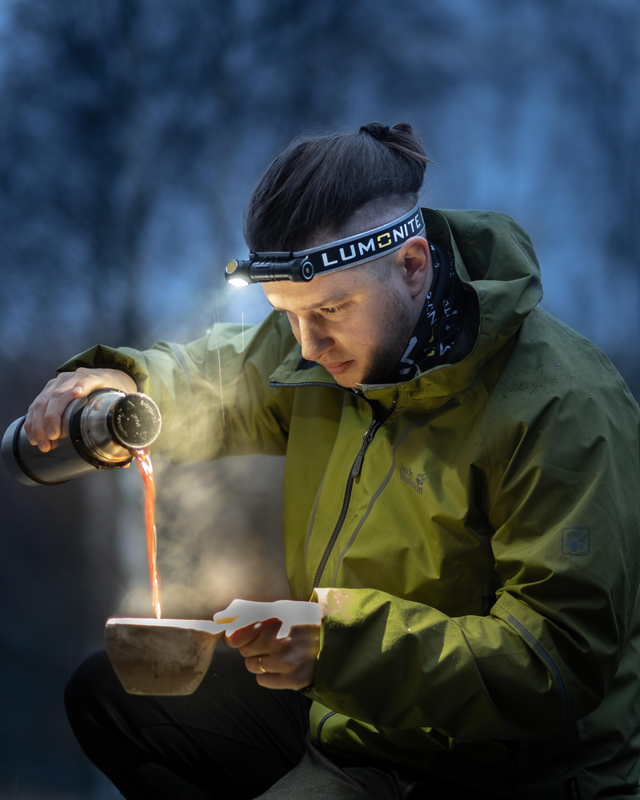 Nowadays, not only Thierry, but the whole club Kalevan Rasti among countless of other elite orienteers use Lumonite lamps in their training and races. We have also involved Thierry in Lumonite product development team. *Thierry is a 14-time World Champion of orienteering. In 2018 The Association for Finnish Work awarded Lumonite the Design From Finland mark.